The Galaxy M10 is the lowest end phone of this series with a 6.2 inch 720×1520 px Display with an aspect ratio of 19:9. The phone comes with an Octa-Core Exynos 7870 clocked at 1.6Ghz. The phone has a 13+5MP Dual camera setup on the back and a 5MP front-facing selfie shooter. The phone comes with a 3400mAH battery to support its backend. The phone does feel laggy sometimes but can be improved with constant software updates. Also, the phone doesn’t have a fingerprint sensor. 5 February 2019: The Samsung Galaxy M10 just received a new update before the sale. The update, which carries the new firmware version M105FDDU1ASA7 brings the January Security Patch, and nothing else is mentioned in the changelog. While it is expected to improve camera quality and performance as its the first update. The Samsung galaxy M10 will be receiving the Android Pie update get soon. Samsung has promised its budget smartphone users that they will be getting the Android 9 Pie Update. Also according to a report at 91Mobiles, a user claimed that the Galaxy M10 would receive the Pie Update in August 2019. Which would be too late as by that time Google will have announced the Android 10.0 Q as reports suggest. Samsung should have updated the devices to the latest version of Android 9.0 Pie by now. We will update the article as soon as Samsung updates the device to Android Pie. The Galaxy M10 hasn’t received Pie Update itself, and we cant hope from Samsung to provide two continuous major updates to its budget devices, mainly made for Indian users. So the chance of Samsung giving a Galaxy M10 Android Q update is very less. 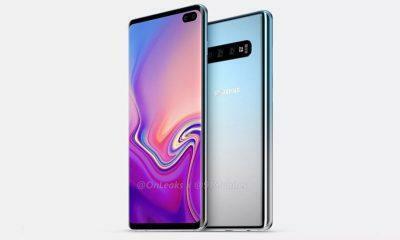 By chance, if Samsung plans to give the Android Q update, most probably it would arrive in the Q4 of 2020. 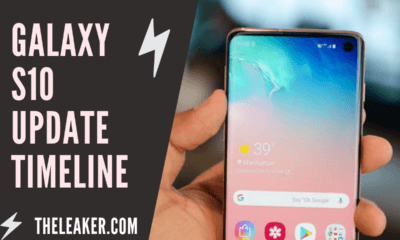 Samsung has been providing major updates to its flagship lineup since the last two years such as the Samsung Galaxy S8 and more. We will update the article as soon as there is an official announcement for Android 10 Q. Step 1: Download the latest firmware from the above link and move it to your internal storage. Step 2: Power Off your phone and hold down the Power and Volume Up Button, it will boot into recovery mode. Step 3: Using the volume rockers move down and choose “Apply update from SDCard”/ Apply Update from Phone Storage and choose the update file. Step 1: Download Odin from here along with the latest ROM for your device. 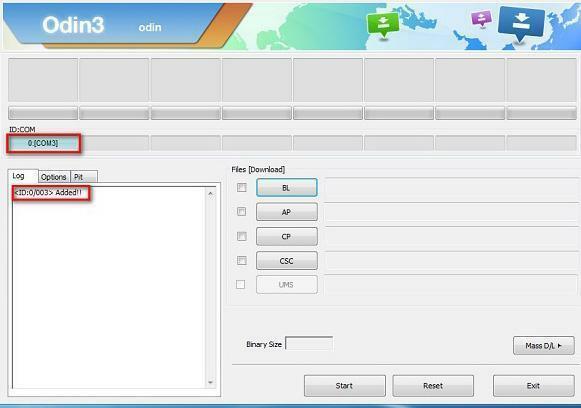 Step 2: Now, extract the downloaded Odin 3 file on your computer in a new folder. Then right-click on Odin App and click on Run As Administrator option from the drop-down menu. Step 3: Power off your Samsung Galaxy device. After it gets powered off press and hold the Volume Down button + Power button simultaneously. The device will vibrate and boot into Download Mode. Step 5: Just Connect your Samsung Galaxy device to your Windows computer via a USB cable provided in the box. Odin will recognize your device automatically. At the empty box in the lower left side of Odin’s interface, you will notice a message “Added” which means you have connected the device successfully. Step 6: Click on the AP Button which will open up the file selector dialog box, navigate and select the the file which you need to flash and click ok. and wait until on the left you see a statement saying MD5 verified successfully. Step 7: Click Start and wait for Odin to flash the ROM on your device, if it is successful you will notice a word stating “PASS” and “Failed”. Step 8: Boot your device into recovery mode by holding the Volume Up + Power Button simultaneously. After booting into recovery mode select Wipe Data using the volume keys and click ok(press the power button). This will erase all your data on the device.